The Written Word: The iconAclass Manifesto is a book by Will Brooks, perhaps more widely known under his Emcee name dälek, in collaboration with graphic design artist Thomas Reitmayer. In his twelve year history with dälek, Brooks recorded six studio albums, did collaborations with the likes of Faust, Techno Animal, Young Gods, If/When, Kid 606, and DJ Baku, and toured the world extensively. His new project iconAclass sees Brooks maintaining the gritty view of boom-bap he is known for, while returning to his roots: it is pure HipHop, where hypnotic heavy beats serve as more than just a backdrop for this Emcee. 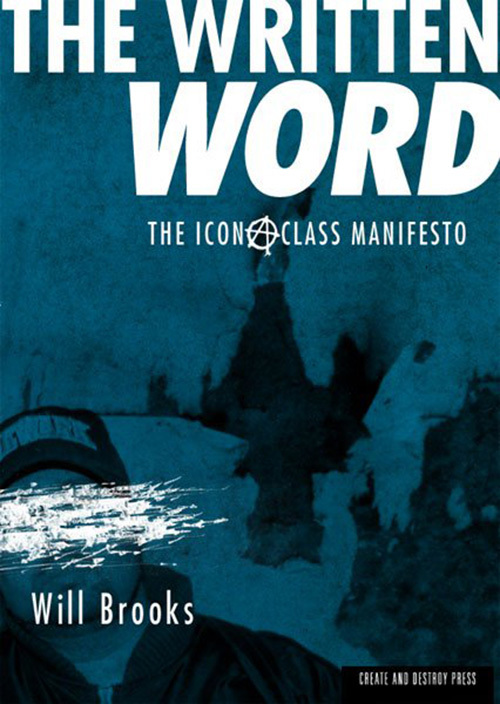 The Written Word: The iconAclass Manifesto is a collection of all iconAclass lyrics to date (their debut album For The Ones and the I Got It EP). Focussing heavily on the lyrical side of HipHop, Brooks’ lyrics deal with everything from race relations to religion to corporate greed, putting a spotlight on the culture of HipHop itself with countless references to artists past and present. Will Brooks and Thomas Reitmayer have been friends for many years, DJing and drinking and sharing an affinity for Badalato’s Pizzeria. This collaboration finally found it’s focus in the release of The Written Word: The iconAclass Manifesto through Reitmayer’s newly founded Create and Destroy Press. 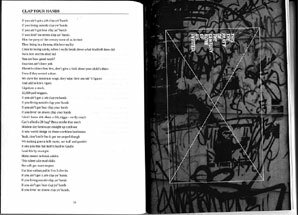 – Contributions and quotes by the Melvins, Hans-Joachim Irmler (Faust), Charles Hayward (This Heat), and Prince Paul.